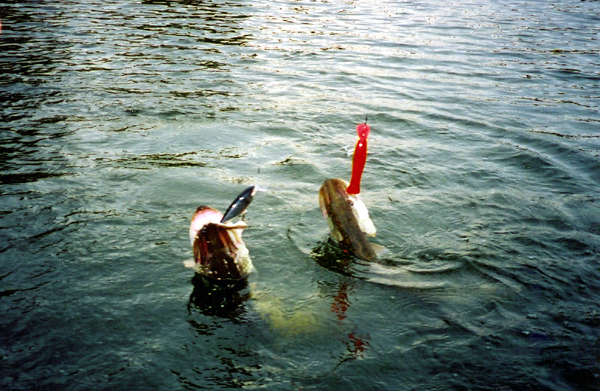 Summer 2003, we were trolling in a new area, me with an SSR and James Ashworth with a Fladen Pike Beast. Simultaneous takes produced these two pike. Surely we'd found a good swim? No, it's never produced another pike.